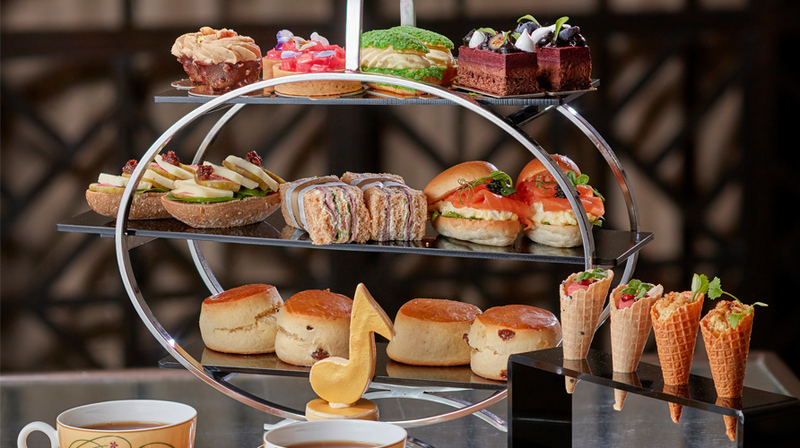 Jumeirah Carlton Tower, just off Sloane Street, has one the coveted prize of Afternoon Tea of the Year 2018 and Harpers Bazaar agrees too! Competing in a live cook off against 100 other hotels, their task was to create the most delicious afternoon tea in 30 minutes as if preparing for a guest. Their ‘Symphony’ afternoon tea was the winning entry; inspired by the movements of a Symphonic orchestra and from the resident harpist which serenades diners throughout the afternoon. Their contemporary take a on a classic saw judges try savoury brioche treats of smoked salmon with duck egg mayonnaise and on the sweeter side, a mini tiramisu with whipped coffee ganache, a Sicilian pistachio éclair with cranberry compote and a coconut and lemongrass sorbet to cleanse the palette. For the summer months, the pastry team have created a British Summer Season Afternoon Tea to celebrate the special events which take place across the country including Royal Ascot, The Proms, Chelsea Flower Show and Wimbledon. Enjoy spinach bread with asparagus, basil and rosary goats cheese. For something a little sweeter, enjoy treats from the Season, “The Perfect Serve”; a Wimbledon white chocolate crema tart with apricot compote and lemon truffle tennis ball or maybe “The Bookies Favourite” will take the top spot for you; banana and chocolate brownie with peanut butter cream top hat, inspired by Royal Ascot. Afternoon tea is served in the Chinoiserie Lounge daily at £45 per person or £55 with a glass of Champagne. Book your table here.